Geoffrey Starks was sworn in yesterday, joining fellow Democratic Commissioner (from left) Jessica Rosenworcel and Republicans Michael O’Rielly, Chairman Ajit Pai and Brendan Carr. 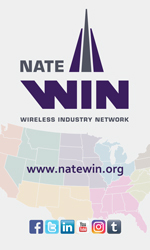 Both Pai and Carr are scheduled to provide keynote speeches at NATE UNITE 2019 in Grapevine, Tex. next week. 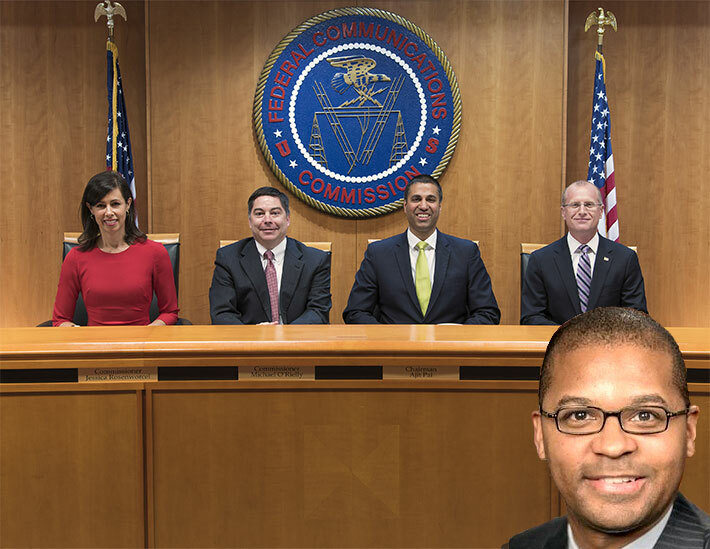 Newly sworn-in FCC Commissioner Geoffrey Starks, who made his first public appearance at yesterday’s brief open meeting, announced his first five staff members, all of whom are serving in acting capacities. “I am deeply honored to serve as a Commissioner of the Federal Communications Commission, and I thank the President and the United States Senate for this exceptional privilege. As the last few weeks have affirmed, being a public servant is a calling to serve a mission bigger than yourself. Throughout my career, I have focused on protecting the most vulnerable and holding wrongdoers accountable,” Starks said in a statement. Daudeline Meme, Acting Chief of Staff and Acting Legal Advisor for Wireless and International. Meme will serve as Acting Chief of Staff and advise Commissioner Starks on wireless and international matters. Meme previously served as Deputy Chief in the International Bureau’s Telecommunications & Analysis Division. Prior to that, she served as Commissioner Mignon Clyburn’s Legal Advisor for Wireless, Public Safety, and International issues. Immediately before that, Meme was Chief of Staff of the Enforcement Bureau, where she was responsible for providing legal, policy, and administrative oversight. She also worked with Chairman Tom Wheeler’s office on implementation of FCC Process Reform and as an Assistant Chief in the Enforcement Bureau’s Spectrum Enforcement Division. Before joining the Commission, Meme was a Communications Associate at Skadden, Arps, Slate, Meagher & Flom, where she worked on a range of matters relating to regulatory compliance, transactions, and advocacy before the Commission. Earlier in her career, Meme served as a legal intern in the FCC’s Office of General Counsel and law clerk to the Honorable James R. Spencer in the Eastern District of Virginia. She is a graduate of Dartmouth College and the University of Michigan Law School. Michael Scurato, Acting Legal Advisor for Media and Consumer Protection. Scurato will advise Commissioner Starks on media and consumer protection matters. Scurato joins the Commissioner’s staff from his position as Special Counsel for the Chief of the Enforcement Bureau. Previously, Scurato served as Legal Advisor for Commissioner Mignon Clyburn. Prior to joining the Commission, Scurato was Vice President of Policy at the National Hispanic Media Coalition. While at NHMC, Scurato served on the FCC’s Consumer Advisory Committee and the American Library Association’s Public Policy Advisory Council. Scurato received his law degree from Georgetown University Law Center, where he was a student in the Institute for Public Representation, a public interest law firm and clinical education program. He has a Bachelor of Arts from New York University. Randy Clarke, Acting Legal Advisor for Wireline and Public Safety. Clarke will advise Commissioner Starks on wireline and public safety issues. Clarke joins the Commission following service as FCC counsel to the Senate Committee on Commerce, Science, and Transportation. Prior to his work in the Senate, he was Acting Deputy Chief of the Wireline Competition Bureau. He has held a variety of roles in the Wireline Competition Bureau since 2004, including Chief of the Competition Policy Division, Deputy Chief of the Pricing Policy Division, Legal Advisor to the Bureau Chief, and Attorney Advisor in the Bureau. 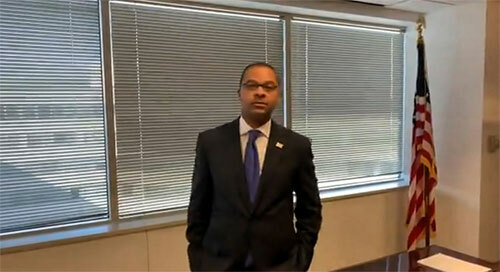 Before joining the FCC, Clarke served as an Assistant Attorney General for the State of Illinois, focusing on telecommunications policy and consumer advocacy. Clarke is a graduate of the Chicago-Kent College of Law and Wheaton College in Massachusetts. Renee Coles, Acting Confidential Assistant. Coles will serve as Commissioner Starks’ Acting Confidential Assistant, addressing all administrative needs. During her 13 years at the Commission, Coles has served as the Staff Assistant to Commissioner Michael Copps and worked in Human Resources as a Specialist in Payroll and Benefits. Prior to joining the Commission, Coles owned a small retail business. Natalie Martinez, Acting Staff Assistant. Ms. Martinez will serve as Acting Staff Assistant in Commissioner Starks’ office. 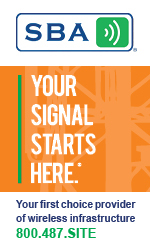 Martinez has served as the Confidential Assistant to five successive General Counsels of the FCC.